Buck teeth, also known as a malocclusion or severe overbite, is much more common than we think. In many cases, buck teeth are a hereditary condition. But, it can also be worsened by prolonged thumb sucking, bottle feeding or the overuse of a pacifier. Throughout history, buck teeth have been the cause of bullying and embarrassment. Studies have shown that the most common cause of bullying is a person’s smile. Almost all people have somewhat of an overbite. Although some celebrities like Eva Mendes and Lea Michele have a slight overbite that can be very attractive…people or children with severe overbites or buck teeth choose to have them corrected. A new study finds that children with buck teeth may benefit from early orthodontic intervention. 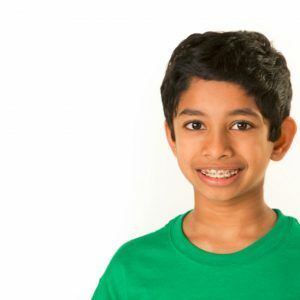 Young children (age’s six to ten) with severely protruded upper front teeth, commonly called “buck teeth,” are at increased risk for dental trauma and may benefit from an orthodontic correction, according to a study published recently in the American Journal of Orthodontics & Dentofacial Orthopedics. The study found that approximately one in three children who were treated for severely protruding teeth were less likely to experience dental trauma (such as a chipped, broken or knocked out permanent tooth). “Active children who play organized sports or love the playground and who have severely protruding teeth may benefit from early intervention by an orthodontist,” said Morris N. Poole, DDS, president of the American Association of Orthodontists (AAO). If your child is being bullied because of protruding buck teeth, contact our office in our Memorial or West University location to schedule a complimentary consultation. The Team and Doctors at Greater Houston Orthodontics will then make a recommendation of treatment to correct the problem. We offer the very highest levels of care with leading edge orthodontic treatments. Call us…you will be glad you did.